Since 2000, the U.S. Food and Drug Administration newly approved two prescription weight loss drugs for the public. Both drugs make the claim to be taken with a reduced-calorie diet and exercise for chronic weight management. Anti-obesity drugs try to decrease that soaring feeling to eat something or inhibit fat absorption. Accordingly, drug makers are capitalizing on the 154.7 million overweight or obese Americans age 20 years and older, where most are suffering from weight stagnation. The most influential theoretical physicist of all time is certainly Albert Einstein who is notably credited with coining the meaning of “insanity is doing the same thing over and over again and expecting different results.” Applying this definition to common eating habits gives meaning to why a person’s weight does not change as a result from constantly eating the same things. Sure, we might throw in some extra exercise from time-to-time or reduce the quantity of the same stuff, however, the proof is in the pudding (no pun intended) when we continually devour similar foods each day and expect a weight reduction then we just may be stepping into the realm of insanity. Processed sugar is one of those constants that is probably causing weight stagnation due to insanity. This sweet ingredient creeps into just about every item sold on grocery shelves today, thereby making it extremely difficult to avoid it. It would not be a big deal except for the fact that it is the major offender in this country’s obesity epidemic and closely linked with causing cardiovascular disease and roughly 70 other ailments. 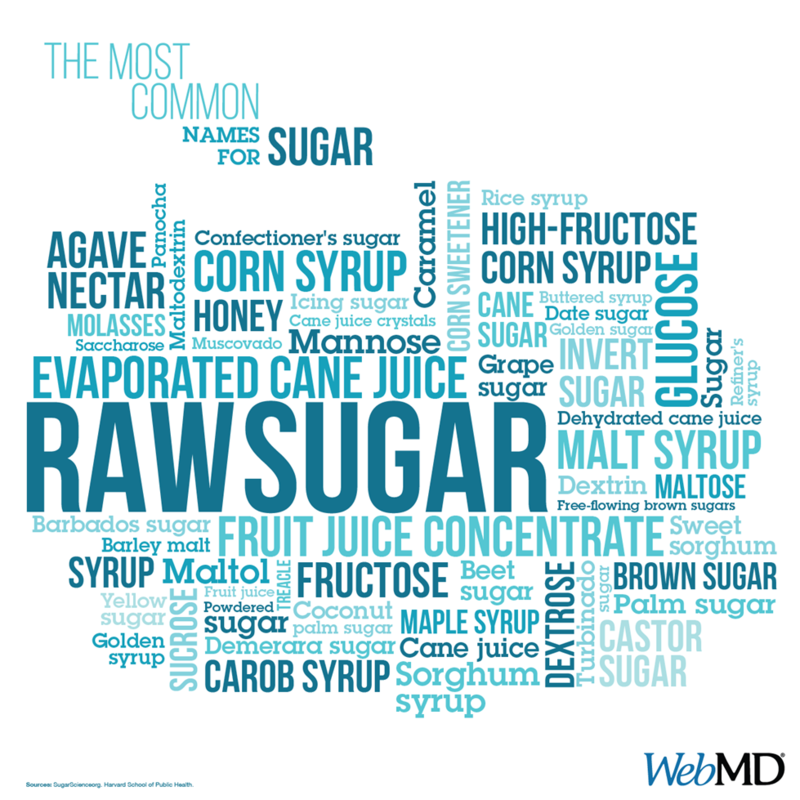 Whenever I reference sugar it is not about those naturally occurring sugars found in fruits and vegetables, but the added processed sugars put in packaged items in order to either make them taste good and/or to lengthen the expiration time that it can be sold on the grocer’s shelves. Eating lots of processed sugar is so bad that the American Heart Association recommends that women should consume no more than 6-teaspoons of added processed sugar a day (24-grams) and men should not exceed 9 teaspoons of added processed sugar a day (36-grams). Processed sugar is an unseen food ingredient that can thwart a person from purging his/her obesity disease. For example, a number of people have turned their daily dietary attention to drinking more cranberry juice, thinking it is good for their kidneys and urinary tract. Conversely, just a half-cup portion of cranberry juice cocktail usually consists of 15-grams of added processed sugar. A tiny 6-ounce serving of fruit-flavored yogurt can have as much as 14-grams, or 3½ teaspoons of added processed sugar. Plain yogurt has about 12-grams of naturally-occurring sugar, while flavored yogurt on average contains 26-grams of sugar, so 14-grams are added processed sugars, whereby in all likelihood being a root cause of weight stagnation!